Undoubtedly the canine community is a buzz with the recent Maryland ruling, and many of you want to know how you can best help support the amazing efforts of Maryland pit bull advocates who are on the ground. 1) B-More Dog is gathering photos of Maryland families with their “pit bull” dogs to show Maryland’s leaders that our dogs are cherished members of the family and shouldn’t be unfairly discriminated against. 2. Please don’t force my landlord to discriminate. 3. Please save my family member from eviction. Then post your photo on B-More Dog’s Facebook group page, or e-mail it to them at [email protected]. By doing so you are giving them permission to use your photo in a heart-wrenching montage that will be presented to the Maryland governor and state legislators at the appropriate time. Please submit photos by Saturday, May 12. 2) Best Friends Animal Society has put together a letter that is easy to submit asking Maryland senators and representatives to enact a reckless owner law that holds irresponsible pet owners liable for the actions of their dogs, regardless of breed or type, and asks them to exempt landlords and property owners from liability. These efforts DO make a difference. Let’s support our friends in Maryland by taking these small efforts to show our solidarity as a community and help educate others about the shortcomings of this ruling. There will also be a peaceful protest in Annapolis on Tuesday, May 15th. @TecmoSB Thanks for adding this! Also, if you are a Maryland resident, don’t forget to contact your state legislators! One state senator has said they will introduce legislation regarding the Tracy v Solesky ruling in the special session coming up. If we get more on board, it might pass! @smoo Wonderful! Thanks for sharing! The Maryland Animal Law Center has been contacted by Maryland State delegate Michael Smigiel, Sr. (R-36, Queen Anne, Cecil, Kent, Caroline Counties), who intends to introduce legislation during the Special Session in May, 2012. 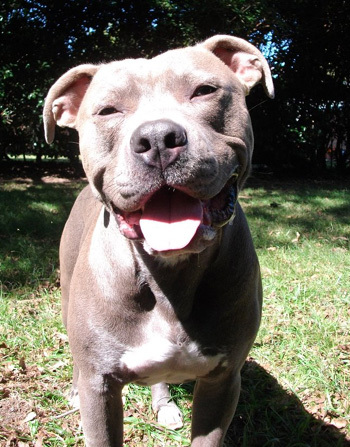 The proposed legislation being submitted would prohibit municipalities from declaring dogs dangerous simply by breed! This is one of several initiatives underway to alleviate the effects of the recent Solesky v. Tracey ruling against Pit Bulls. Maryland Votes for Animals, the Humane Society of the United States, and other national, state, and local organization are urging Maryland residents to call Governor Martin O’Malley’s office on Tuesday, May 8, to urge him to support introduction of legislation during next week’s special session to provide a legislative remedy. Dangerous dog legislation should be based on a dog’s behavior, not the dog’s breed. People who are unable to call on Tuesday can call the Governor’s office through the end of the week. PLEASE CALL THE GOVERNOR TO SUPPORT RELIEF EFFORTS FOR PIT BULLS AND THEIR FAMILIES IN MARYLAND. I am writing to voice my support for legislation that would prohibit discrimination of dogs by breed. Maryland State delegate Michael Smigiel, Sr. (R-36, Queen Anne, Cecil, Kent, Caroline Counties) intends to introduce legislation during the Special Session in May, 2012. The proposed legislation being submitted would prohibit municipalities from declaring dogs dangerous simply by breed and I support this initiative. I also encourage all people involved to educate themselves on breed discrimination. BSL (breed specific legislation) does not make anyone safer. All it does is give the illusion of safety. 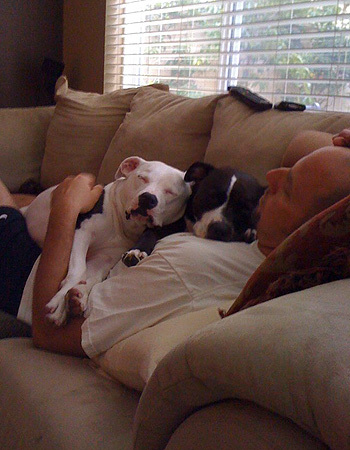 The people who suffer from BSL are responsible owners, whereas the irresponsible owners pay no attention to it. Studies have shown that BSL and similar discriminatory practices DO NOT WORK. Feel free to look it up. Instead, we need harsher penalties for animal abuse. The fault lies with poor owners, not the dogs. @skreidle @smoo Thanks so much! Thank you SO MUCH Laura Petrolino and Stubby Dog for your help and support through these troubled times. We all want to act fast and soon but rest assured, many of us have been on this from the beginning and are in it for the long haul. We will need your support for the years to come until we correct this injustice. @BaltimoreGal Thank you Ann and everyone working so tirelessly! Every signature is a loud and clear statement. Together we can be heard. @chuerta_1954 Thank you for posting the petition, we will pass it along on StubbyDog’s facebook page. @chuerta_1954 I’ve already signed that one, though if I had the power to edit the page, I’d name it something about what the petition would do — perhaps *Overturn* Maryland’s ruling [etc]..
StopBSL lists the 4 bills and explains their effects in this post. Email links for sponsoring reps are also listed. @angelpaw thank you, our fans are just amazing!